Keeping the Holidays simple and kid friendly are always key in my house. Between my daughters, nieces, nephews, and cousins our house is always full of children, especially during the holidays. 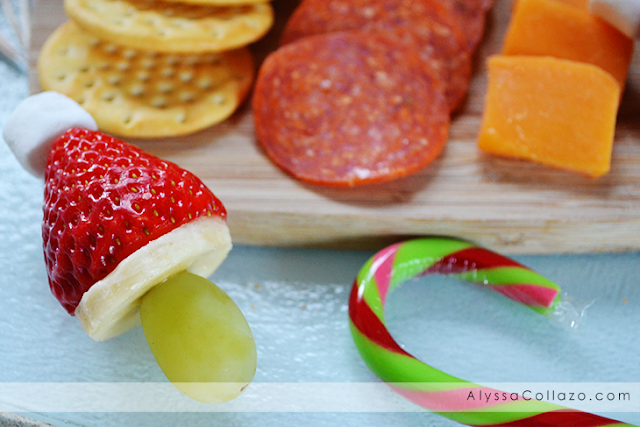 How do you keep your Holidays full of kid friendly snacks? I like to turn our fruits or veggies into something fun, for example we love making "The Grinch" for our get together's. And thanks to Stop & Shop I can get everything I need and more for this kid friendly snack, plus keep everything under budget. It's a total win win in my book! Shopping at Stop & Shop has never been easier. I love that everything is organized and priced even better. Nothing like shopping at one store for all your Holiday needs without breaking the bank! Now I'm sure you're wondering, what exactly is The Grinch? Well, it's a delicious and healthy fruit snack that I came across on Facebook and just had to try it with my girls! They of course loved it and request it all the time during the Holidays. For this snack all you need is 5 ingredients and it's so easy to make! You don't really need a recipe to make The Grinch, all you need is Mini Marshmallows, Strawberries, Banana Slices, Green Grapes and Toothpicks. Make yourself an assembly line to make things even easier and there you go! 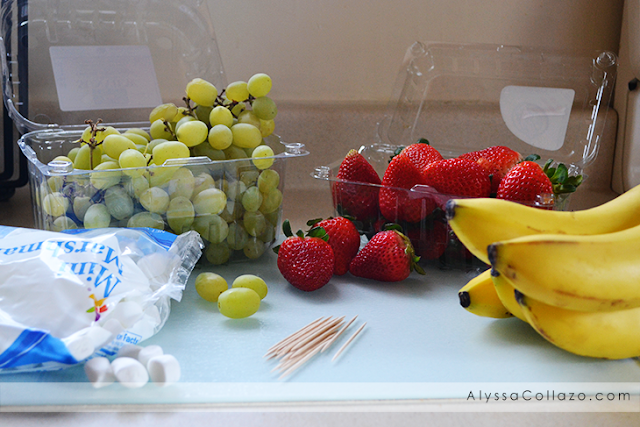 Start with a Toothpick, add a Green Grape. Next add a Banana Slice and a Strawberry, push your toothpick down so that it's poking a little bit at the top of the Strawberry and add a Mini Marshmallow! Ta DAH! You have yourself The Grinch Kabobs. I like to add them to a cheese tray and let the kids have at it! This kid friendly snack is approved by even the pickiest kid! 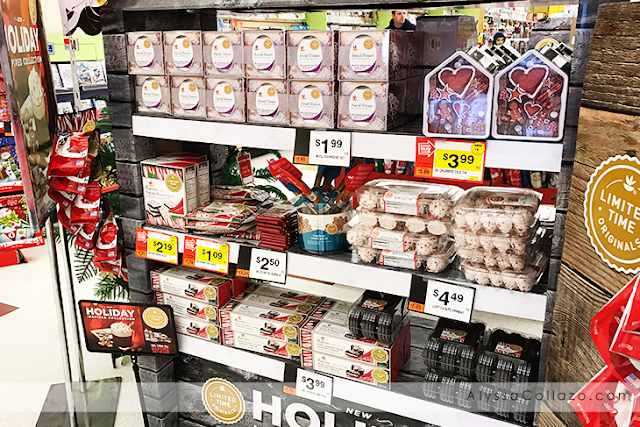 Be sure to visit your local Stop & Shop and get everything you need to make The Grinch fruit snack and right now you can get $5 off when you sign up here, for new registrants! Take advantage of this deal! 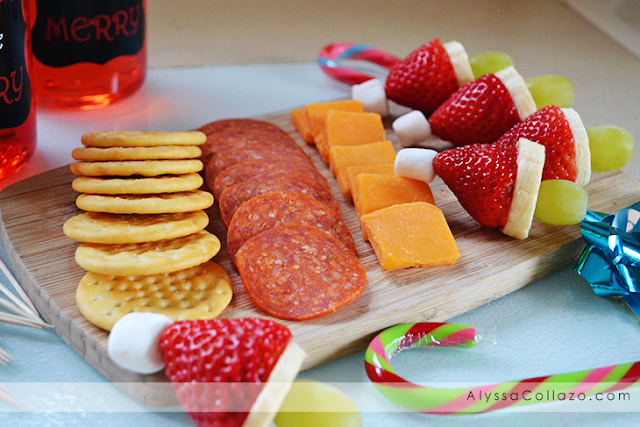 What are your favorite Holiday snacks? Those Grinch snacks are the best! I love how yummy and festive they look. Thanks for the inspiration. 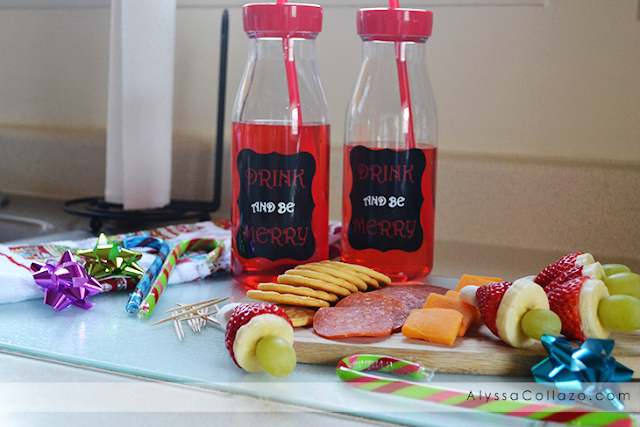 What a super cute idea for snacks. I'm always on the lookout for healthy and yummy snacks for my granddaughters. Thanks for sharing this. I love the santa hat you made with the strawberries, banana and marshmellow. What a great way to make fruit fun to eat, especially when you know there's so much chocolate around this season! Love the grinch snacks. Real kid-friendly. I find that the more creative you get with preparing and presenting the food the better they will eat it. The Grinch Snacks would not last long in my house.